This is a basic recipe for a linen stitch head band. 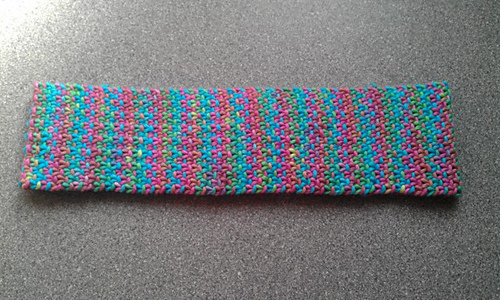 I love the look of the stitch and love how it looks as a headband. If you find any errors please let me know. 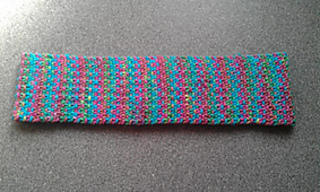 You can use any weight yarn, I have tested it in sw pure wool which gave a nice stretchy hairband. The pictured band was made with cotton is less ‘elastic’ but holds position better.